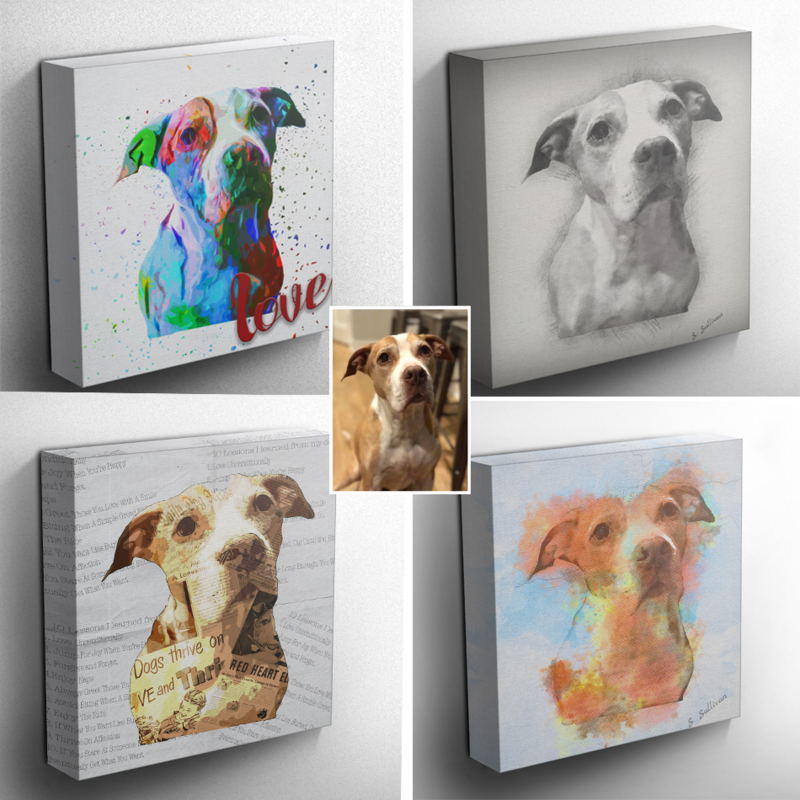 Welcome to 4 Paws Portraits where custom paintings of your pets come to life in unique ways! I hope you enjoy my unique style of painting pets! I work exclusively from photographs and can customize the background however you'd like. I can also combine photographs if you have more than one pet. 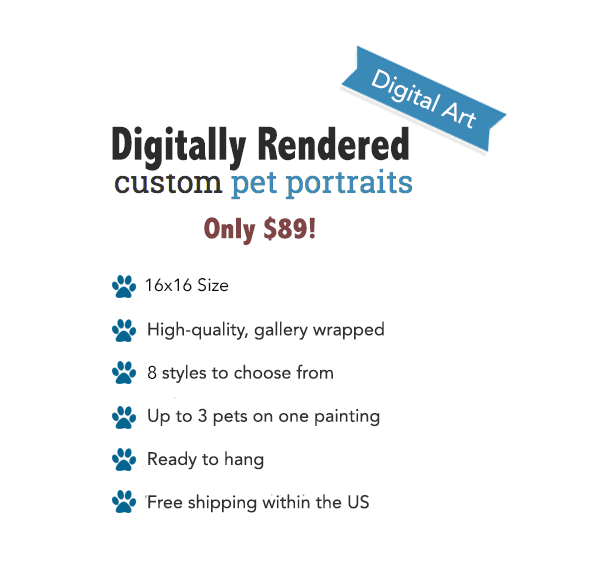 Pet portraits make excellent gifts that are memorable and last a lifetime. Please feel free to reach out with questions! When you buy a portrait you help save lives! 10% of my proceeds go to a no-kill shelter or rescue of your choice. Book Your Own Private Wine and Paint Night! 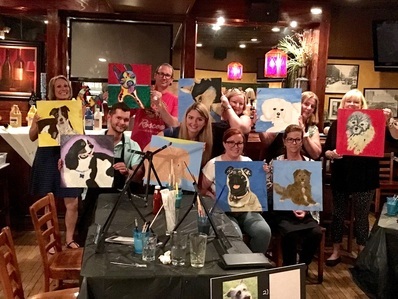 From a girl's night out, to bachelor/bachelorette parties, birthday parties, and kids parties, wine and paint nights are fun for everyone and create memorable experiences. Choose from the samples provided on this site, or ask me about customizing a painting!